The Cardinals continue to try and fly even though they’ve been eliminated from Final Four contention. They end their losing streak with a win over the EAC Generals. Noah Lugo and Laurenz Victoria played key roles in the fourth quarter when the Cardinals pulled away from the Generals. Lugo finished with 18 points on 71% shooting. Victoria added 15 points and six assists. After falling behind early in the game, the Cardinals turned on their defense in the second quarter to build a sizeable lead heading into the second half. Mapua limited EAC to just nine points in the second period. Offensively, they got a balanced effort from their entire team. They scored 20 points in the same stretch to build a nine-point lead heading into the half. The Generals, riding a two-game win streak, refused to let the Cardinals fly away in the third period. Hamadou Laminou owned the paint to start the second half. He scored 10 points to lead the Generals back in the game heading into the final period. That was the last stand of the Generals. 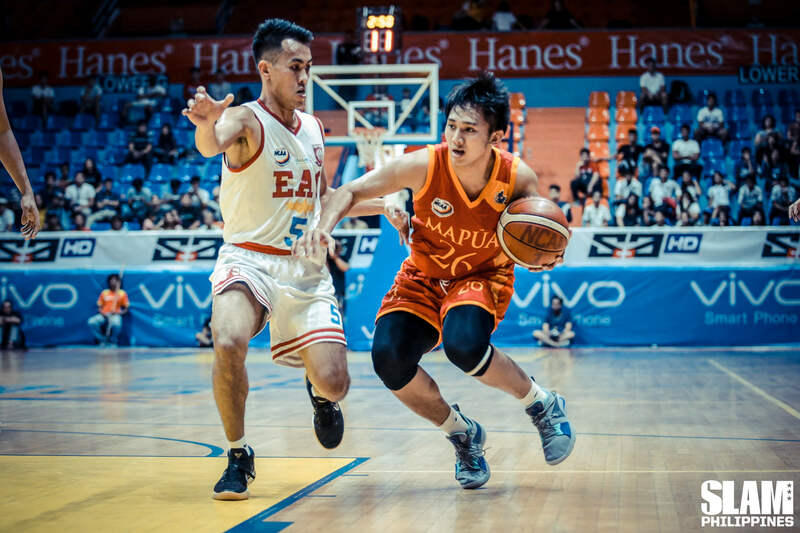 Lugo and Victoria teamed up for 19 points in the fourth quarter to help Mapua run away with the game. Lugo dropped 11 points while Victoria added eight as the Cardinals scored 28 total points in the period. 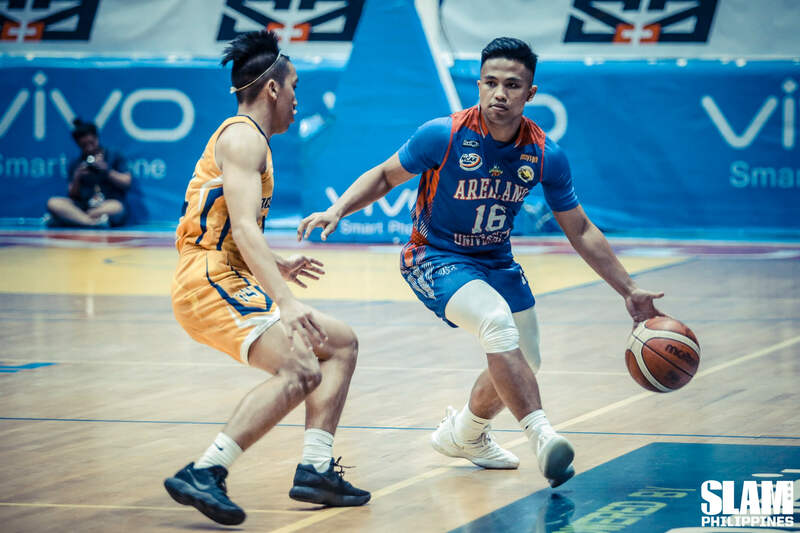 Levi Dela Cruz and the Arellano Chiefs dropped the JRU Heavy Bombers to the bottom of the standings with a blowout win. The Chiefs, playing for nothing but pride got a balanced effort from their whole team led by their veteran guard. Dela Cruz scored 19 points to lead six players in double figures. Rence Alcoriza added 11 points while three others notched 10 points each. Seven players got on board in the first quarter as Arellano scored 25 points to open the game. The opened the game on a 23-3 run, keeping the Heavy Bombers scoreless for huge stretches of the first quarter. JRU only managed to score nine points in the opening period as Arellano jumped out to a huge double-digit lead. Dela Cruz put the game away in the second period when he scored nine points of his total output during that stretch. The Chiefs built a 16-point lead heading into the half and held on to a double-digit the rest of the way. Arellano executed their offense cleanly. They shot 45% from the field and hit 10 treys at a 43% clip. They also had 16 assists and only 10 turnovers in the game. The Letran Knights shock the league-leading Lyceum Pirates with their second loss of the season. It was a surprise ending to an intense game between two Final Four contenders. The Knights strengthen their hold of third place with an 11-5 record. The Pirates fall to 14-2 for the season. Bong Quinto was the hero of the game. He scored the big buckets in the final minutes that put the Knights ahead. The Knights were down by two with a little over three minutes left in the game. With the shot clock winding down, he heaved up a shot while falling to the floor that went in. Quinto added to his highlights with a strong and-one hoop a few possessions later to give Letran their first lead since the opening period. Quinto scored on another strong layup to give the Knights a three-point lead with a little less than two minutes left. That’s when the controversy started. Jaycee Marcelino got the ball on the break, stopped and popped for a three-pointer that tied that supposedly tied the game at 80. There were no stoppages of play from that point on as the Pirates forced a turnover and Marcelino missed his final attempt at the buzzer. The referees took the chance to review the Marcelino trey at the end of regulation and ruled that he was stepping on the line, thus reversing the initial call. That reversal knocked off a point from Lyceum’s score and gave the win to the Knights. The Pirates had their chances to avoid the shocking ending. 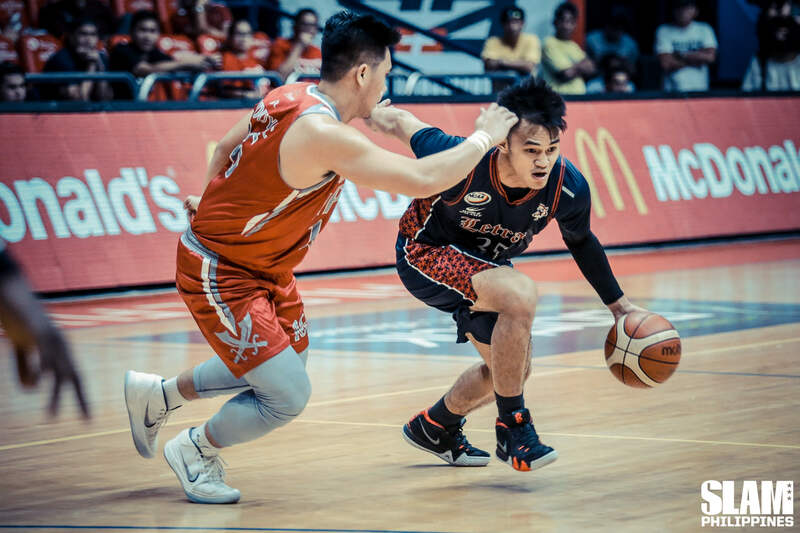 They were able to build a 10-point lead late in the third quarter but an 8-0 blast by Letran kept the game close heading into the final period. Larry Muyang led the Knights with a big double-double of 23 points and 16 rebounds. Quinto scored 10 of his 20 points in the final seven minutes of the game.